Original survivor that is ready for a full custom renewal to your specs. 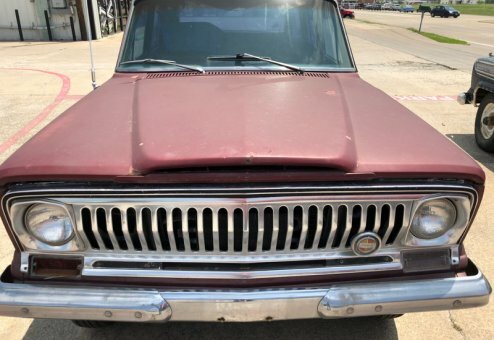 A rare find, original, intact Indian Ceramic Super Wagoneer (previously repainted to current burgundy color) with black interior. 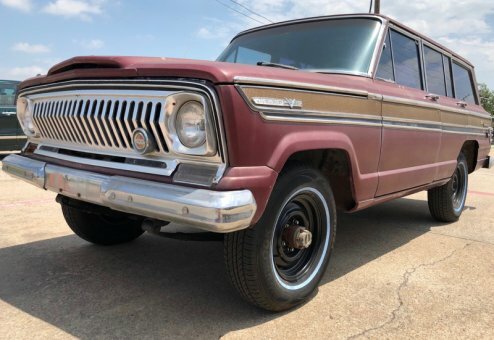 This unique Super is one of the FINAL series 1 Super Wagoneer made, #1,296 of 1,301. Starts, runs, and drives -- includes upgraded and newly installed stock axles (previously was lifted, but now stock). A unique piece of history as one of the final series 1 Supers, it came from the factory with the series 2 power train and the Buick 350 engine. 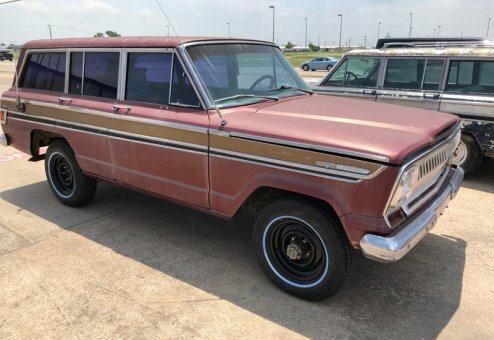 This Jeep is one of only 1,485 Super Wagoneers (Series 1 & 2) ever produced. The vast majority are long-gone with only an estimated 50 to 200 survivors remaining (including non-running units). 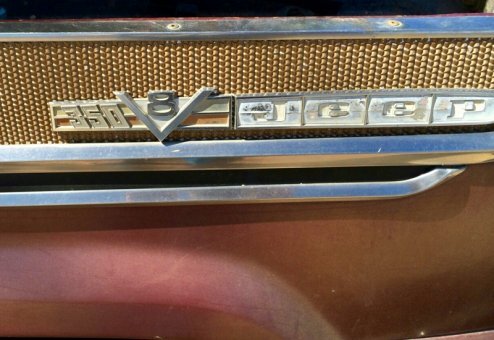 These are extremely rare vehicles and even harder to find for sale -- especially in original, rust-free condition. 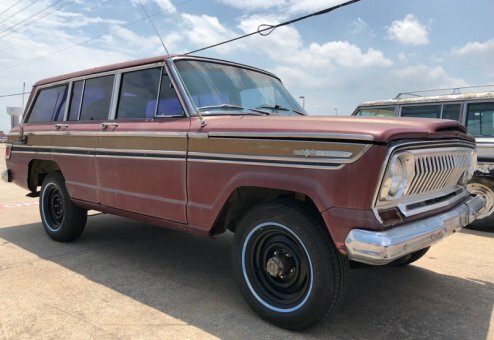 Our compete, Super Wagoneer restorations in-house at Wagoneer World begin at $125,000+ This unique, rare and historical signficant Super is available unrestored for $25,000. Rust-free, clean inside and out (interior previously refinished, carpet okay), starts up, and drives -- serviced including fluids, new battery, new tires, etc. Can be enjoyed as is or the perfect candidate for a classic and complete restoration. NOTE: This shows a previous burgundy-colored exterior repaint, however the original Indian Ceramic paint is underneath including the firewall, door panels, door jambs, etc. and can be returned to its original grandeur. It's the perfect time to custom restore this gem -- call us for status, options and learn more about making this classic your own. This is a well-preserved survivor with wonderful ownership heritage (in the same family for most of its life). Rust-free California and Colorado Jeep. This Jeep is a clean, extraordinary survivor that stands head and shoulders above the crowd. $25,000 unrestored.